My name's Jan and this is my website all about Mojacar in Spain. Register now for free to talk about General Mojacar discussion and much more! Where to buy a holiday apartment in Mojacar? Hi, I am new to this forum, but hope someone can advise on buying a holiday apartment in Mojacar. We have never visited the area but are looking to come out for two weeks in September to get a feel for the place and hopefully take the first steps in owning an apartment. From what I have read and seen on the internet, Mojacar looks lovely, with no high rise buildings and not too commercialised and with a good climate etc. I have a few questions and concerns though as we have never done anything like this before. First of all, I notice that Mojacar Playa covers quite a wide area and I am not at all sure where best to start looking. We have seen quite a few very nice looking apartments above the Marina Torre golf course, but is this too far away to walk to the restaurants/ bars/shops etc? Is there a preferred area of Mojacar in most peoples eyes? I have read about the buying process and I think I understand how this works, but if anyone can give me any of their experiences (good & bad!) about purchasing that would be very much appreciated. In the short term we are looking to come out for many short breaks throughout the year, but once retired, we want to live there over the winter months. Is there plenty of shops, restaurants etc still open off season? Finally, I keep reading that I need a good estate agent and Independent Lawyer. If anyone can make a recommendation on this I would appreciate it. Personally I would say that above the Marina golf course you are too far from bars, shops and restaurants without a car. Being there you are really caught halfway between Mojacar Playa and Garrucha and would be reliant on the buses. You would be better to look at the area further south between the Parque Commercial roundabout and the Irish Rover restaurant (see the stretch I'm talking about here.) That area has the vast majority of restaurants and bars as well as, for example, Thomas Supermarket. 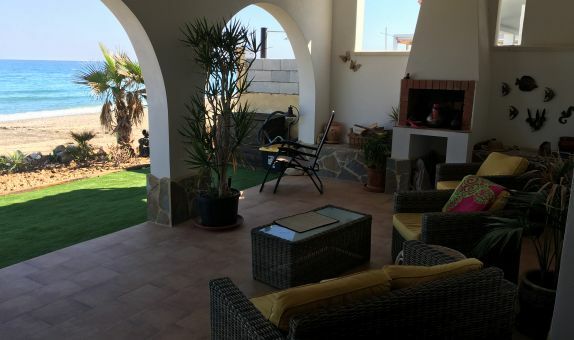 The downside is that property is more expensive than other areas, particularly properties just 10 minutes inland which we are at our holiday home in Los Gallardos. As to good and bad buying experiences, we've now bought twice and it's been very smooth on both occasions. This was made possible by an excellent agent, Paul Fullard at Next Stop Almeria. As well as taking you through the buying process, NSA also have first class after sales care and recommend tradesmen, can act (as they do with us) as keyholders and do a monthly check that all is tikkety-boo at your property when you're not there. Paul introduced us to the people at Currencies Direct who have an office on the Playa and Michelle Birch there is very good. You might have heard about previous problems of agents and lawyers being in league to the detriment of buyers. In many cases those incestuous relationships are a thing of the past, and Paul introduced us to a first class lawyer, Maria Maroto at Mundi Abogados. Some might say don't use them as they were recommended by the agent, but Maria is not originally from the area and the number of thank you cards in their window from people who have used them, many who will have been recommended by Paul, are testament to the service Maria, Esther and Nicoletta provide. Next Stop Almeria don't always have properties on Mojacar Playa, although they can/will work with other agents, so although I don't have experience of them personally, an agent that regularly gets good reviews is Wendy at Blue Sea Villas at http://blueseavillas.co.uk/. Of course others will have their own views on who is good and who you might want to avoid. Do come back with any further questions, and I'm sure others will chip in with their comments too. Thanks so very much Rob for your reply and for the recommendations etc, all very helpful and much appreciated. I think it is just now a case of having the confidence to make things happen! Yep, we've all been there :) Good luck with your search. We recently purchased a property in Mojacar Playa, which we now rent out to long/short term visitors. We went to see nearly every estate agent in Mojacar and found all but one of them to be very helpful. We finally went with Price Brown Partnership who have been established in Mojacar since 1986. I would highly recommend them and in particular Elaine their sales manager. By the way Bluesea Villas as mentioned in Rob20B's reply are a rental agent not an estate agent, however should you decide to rent I would also highly recommend Wendy and her team as we use them as our rental agent for our Mojacar property. Can't disagree with Rob as our apartment is in the specified area.of Mojacar. You will be using it mainly over winter so you won't be.too concerned with the mayhem that is Mojacar July/ August & Easter. We either.repare.to our inland cottage or travel. We used Spanish Property Choice, Estate Agents. Would not recommend. We used a Solicitor in Huercal Overa. In spite of Rob's comments, estate agent/ Solicitor-potential conflict of interest. What happens when/ if some glitch occurs. No thankyou. If.buying from a Brit and you are buying cash not mortgage then consider a CHAPS TRANSFER. You will need.to bring in the 10%+tax+fees in.euros but the rest goes UK BANK to UK BANK so no additional fees. Don't use bank to transfer funds. We used Global Currency Exchange Network (GCEN), but now have an Offshore Euro Account. Conversion & transfer by Pension Agencies. Think that's it but consider renting out here Summer & Winter & personally I would wait.until.post Brexit as.there is still a possibility of a drop in the market. Who trusts politicians!!!!!????? Mojacar Playa and Puerto Lumbreras, Goa, Australia, UK. Thanks for that, I have just emailed 'Price Brown Partnership' as I have also read some good reviews about their service. 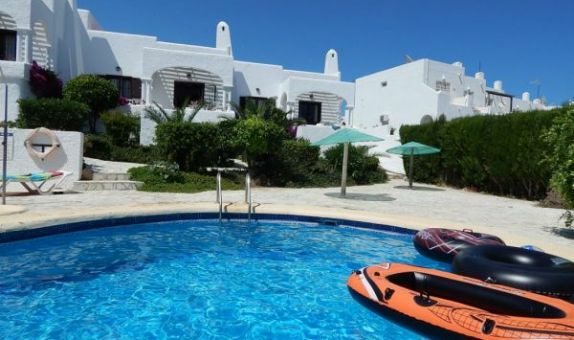 "By the way Bluesea Villas as mentioned in Rob20B's reply are a rental agent not an estate agent, however should you decide to rent I would also highly recommend Wendy and her team as we use them as our rental agent for our Mojacar property." Doh! Of course they are, sorry. Strangely enough, I saw the Spanish Property Choice family at the Place in the Sun event too but had been in touch with them for a few months. They were extremely slow in answering my e-mails and I actually went to their office twice while in Mojacar in April, specifically to find a property to buy. I was promised someone would call me back but nobody ever did. Maybe I was just unlucky. Potential Security issues on buying a holiday home?